Xbox One fans will have something to look forward to as Bluehole recently announced that PUBG will have an Xbox One release this December. Playerunknown’s Battlegrounds is a phenomenal game currently on Steam Early Access. The massive multiplayer battle royale game passed the two million concurrent player mark last month. The game continues to attract new players that are hoping to get that sweet, sweet chicken dinner. Currently, only PC gamers can enjoy the Hunger Games-like competitive shooter. However, with Microsoft obtaining the exclusive rights to Battlegrounds, Xbox One players will be able to enjoy the game in due time. According to Battlegrounds producer Chang Han Kim, console players will get to enjoy Battlegrounds‘ pulse-pounding carnage by December 12, 2017. However, the game is still in its early access state, and will be so even on the Xbox One release date. For this reason, players will have to use the Xbox Game Preview program in order to play the game. Kim also mentions in his announcement that the PC 1.0 version will arrive in late December following the Xbox One release. PC and Xbox versions are being developed at the same time. However, Kim states that they will have separate road maps. Playing Battlegrounds on the Xbox One will also have its perks. In celebration of the game’s Xbox One release, the team created three special, limited edition cosmetic packs. 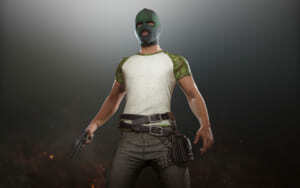 These are the PUBG Warrior Pack, PUBG Accessory Pack, and the PUBG Tracksuit Pack, and are exclusively for Xbox fans. Unfortunately, the packs are available only for a limited time. As far as we know, there are no definite announcements that PUBG will release on the PS4. With Microsoft obtaining exclusive rights, PlayStation fans might have to wait. Battlegrounds is not the only Xbox One game coming out in the final quarter of the year. Other new Xbox One games coming out late this year include Call of Duty: WWII, Need For Speed: Payback, and Star Wars: Battlefront II.